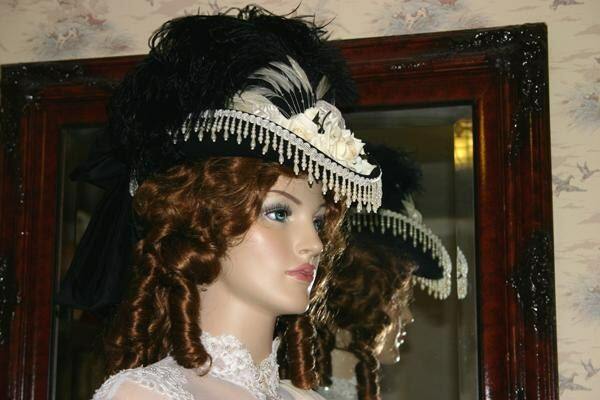 Victorian Hat "Spirit of Dodge City II" is a perfect hat for riding sidesaddle or tea party! It's designed over a gorgeous brand new made in the USA black wool hat. 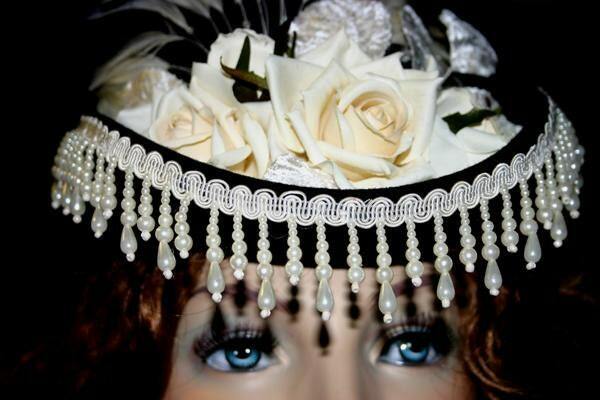 The edge of the brim is adorned with French style faux pearl beads attached to a lovely creamy gimp. 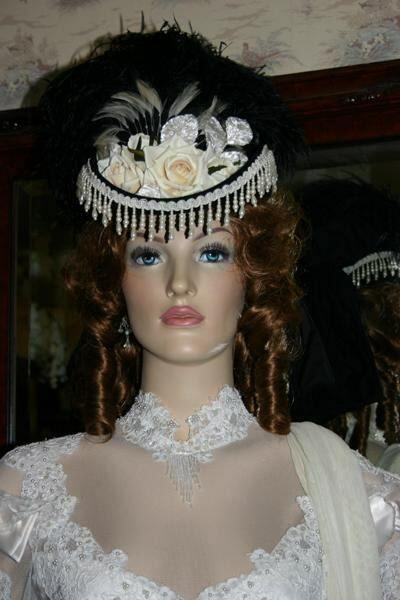 The front of the hat has beautiful life-like cream roses accented with creamy velvet leaves. 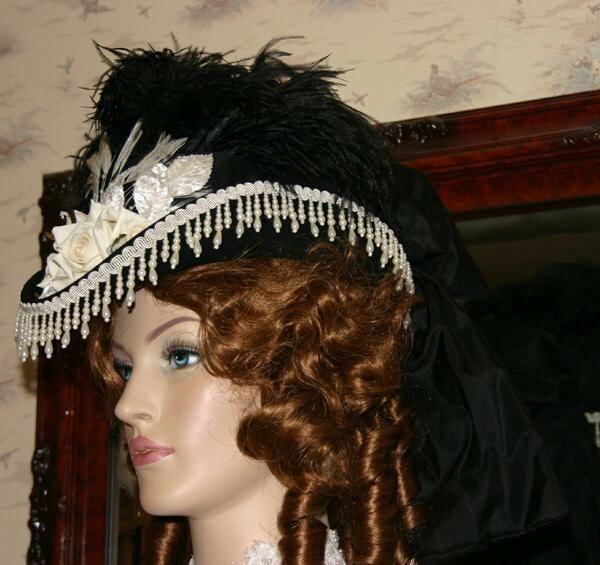 The crown of the hat has loads of black ostrich feathers cascading over it and they're accented with tiny cream coque feathers. 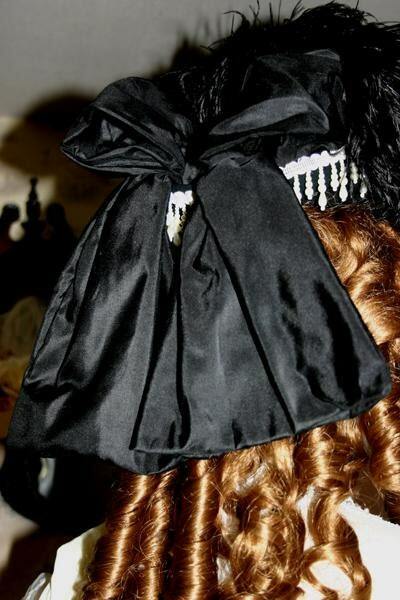 The hat band and bow are luxurious black silk. This is an absolutely stunning hat and will turn heads anyplace you decide to wear it!